Have your dream office in one of our commercial office space in Baner, Pune. It is considered to be an upcoming IT hub since it is very close to IT Park Hinjewadi, Baner gives you the freedom that you are looking forward in conducting your business, and this can surely help in converting your dreams in to reality. Teerth Realties adheres to international construction standards; we offer dedicated amenities and features in our constructions. All these options are different when it comes to settling your own business. This can surely give you a different approach when it comes to setting up your business, the facilities are different from what is offered by other developers and this is where we excel. Power supply 12.5 Watts per sq.ft. 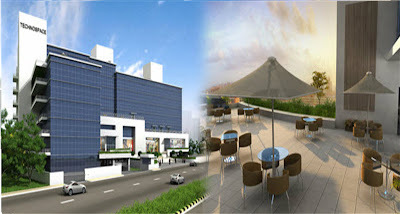 We have our website ready which can be checked to know more about commercial office space, feel free to check http://www.teerthrealties.com/. We have our dedicated team ready which can help in sorting all your doubts, our construction is considered to be different from other developers, we ensure in providing you the freedom that can help in expanding your horizons.